MrNussbaum.com engages younger students through colorful, interactive state maps. Individual state pages provide brief histories, and overviews listing state capitols and mottos, state birds, population summaries, geographical information and more. America’s Story brings younger students short summaries of each state courtesy of the Library of Congress. It supplements the state overviews with articles relevant to specific aspects of state history. Kids.gov has a directory of links to each state’s kid-specific information site. The quality of these sites varies wildly; where one state might offer an aesthetic, intuitive site with plenty of detail, another state’s site could be outdated and difficult to navigate. The Multnomah County Library has done an excellent job collecting informative links about the 50 states. Click a state name to find a list of relevant sites. The World Almanac for Kids is a subscription-based source that many libraries make available. It offers a “United States” section with articles about national history, government and presidents. 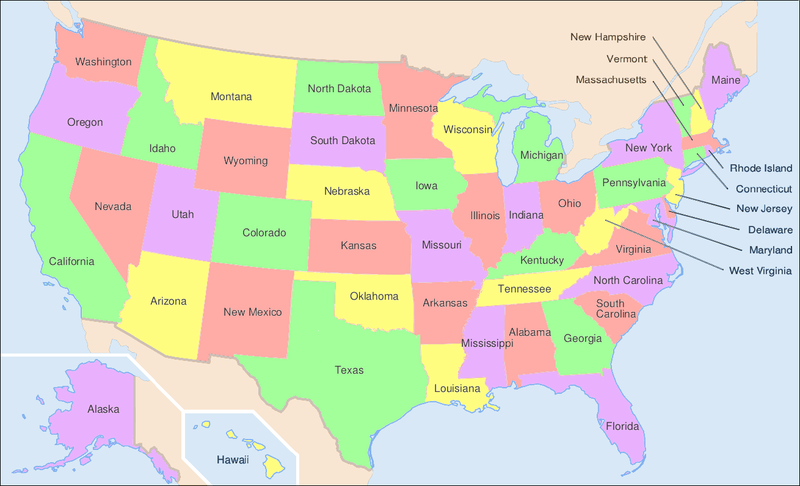 Scroll down the page to find information about the 50 states. The Almanac for Kids goes into greater depth than MrNussbaum.com, providing detailed information on land and resources, culture, government, economy and more. History.com provides comprehensive state overviews that include discussions of land, people, economy and government, and recount state histories from early inhabitants to the modern era. The National Archives Web site offers researchers links and contact information for exploring state archives. Archives hold historically significant documents and other media to benefit future generations. Each state page will offer information about the best way to access archival material.